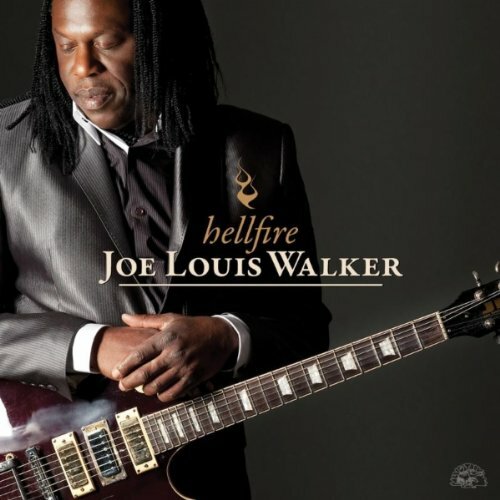 Blues Music Award-winning guitarist Joe Louis Walker has jumped ship to the Chicago-based Alligator label for his upcoming record Hellfire due in stores January 31, 2011. Walker's 11-track new record is one of the first major blues releases of the new year and was produced by Grammy-winning songwriter/producer Tom Hambridge, who recently produced acclaimed albums for Buddy Guy (among others) as well as resumed his own solo career with Boom!. Hellfire is Walker's 24th album and follows up the live album he released from a series of performances taken from the Legendary Rhythm and Blues Cruise. Walker has been nominated for a whopping 43 Blues Music Awards, winning four including the 2010 award for Album of The Year for the outstanding Between A Rock And The Blues. He's an outstanding live performer and a heck of a nice guy (I had the pleasure to meet him in Memphis at each of the past two BMA ceremonies). His previous several albums were released through Stony Plain Records and produced by award-winner Duke Robillard. I'm eager to hear Hellfire and am glad our wait won't be too much longer. I can take a little time in these early days of January to absorb the great music I got for Christmas and about the time I'm jonesing for something new, Joe Louis Walker and Hellfire will be at the ready for me.